Canada’s large and growing autism population has lacked a strong united national voice for many years. To help with this, Autism Society Canada (ASC) and Autism Canada Foundation (ACF) have amalgamated, bringing together two of Canada’s largest, leading autism organizations to form Autism Canada. The consolidated organization, which includes a Provincial and Territorial Council, puts Autism Canada in a position to bring about real change for people living with autism and their families. The announcement comes in time to kick off Autism Awareness Month in Canada. 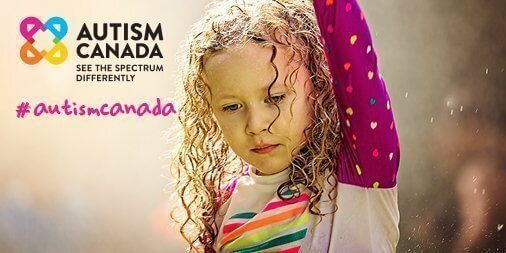 The amalgamated organization will be known as Autism Canada brandishing the new tag line, See the Spectrum Differently. “The tag line is about seeing the potential in people living with autism and seeing that everyone deserves to have universal access to the supports, services and treatments they deserve,” said Vicki Harvey, Vice-Chair. Autism Canada will continue to provide a Family Support and Resource Program, an annual conference/webcast, multiple online resources including screening tools, Autism Junction – Canadian’s Online Autism Service Directory, an extensive video library and information on both traditional and emerging treatments. They have also introduced a new online National Event Calendar, an Adult Autism Forum and a campaign to engage federal election candidates which puts autism on everyone’s agenda. The Public Service Announcement (PSA) will run across multi-media platforms including national television, their website and social media.